Tis the season, my friends. For greens. 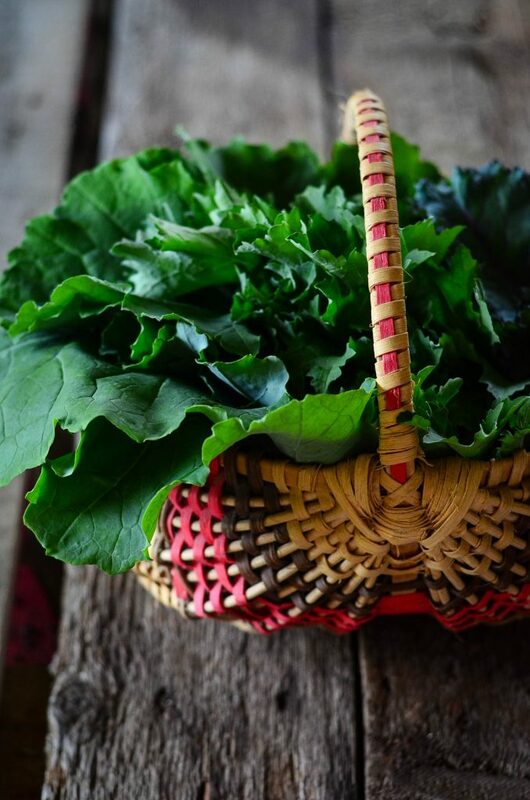 Though… let’s face it… it’s pretty much always the season for greens. Greens in the fall. Greens in the winter. Greens in the spring. Greens in the… see where this is going? We’ve got greens coming out of our eyeballs and sprouting from our ears. Mustard greens. Kale. Radish greens. Collard… I know you see where this is going. You’re a smart bunch. Yes, my friends, greens are on the menu! For breakfast, lunch, and dinner. And while many times we choose to eat them sauteed in butter with a bit of garlic and sea salt, we also do enjoy them raw as well at times. But bad things happen when you pick greens and don’t handle them properly. Especially if you’re wanting to enjoy them fresh. Do you know what bad thing I’m referring to? And ain’t nobody like a limp spinach salad. Have no fear, my green eating friends. There is hope yet. 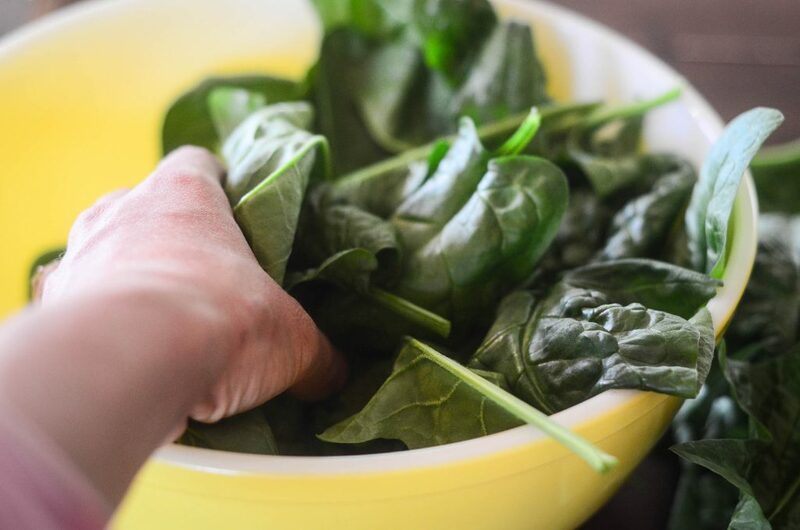 A few simple steps will ensure your greens are perky and crisp when it comes time to consume. 1. Pick in the cool of the day – be it morning or night. When you harvest greens in the middle of the day, the water has already begun to dispense from the leaves to protect the roots of the plant. Chances are, it’ll already be a bit soft and wilted this time of day – let’s avoid that. Instead, harvest in the morning. It’ll give you the best chances for perky greens. 2. Place all the harvested greens in a large bowl. Large, people. We’ve got a lot of greens to eat, remember? Fill the bowl with cold water and let the greens soak for 5-10 minutes. This will help to firm them up and hydrate them. This is the magic trick, baby. 3. 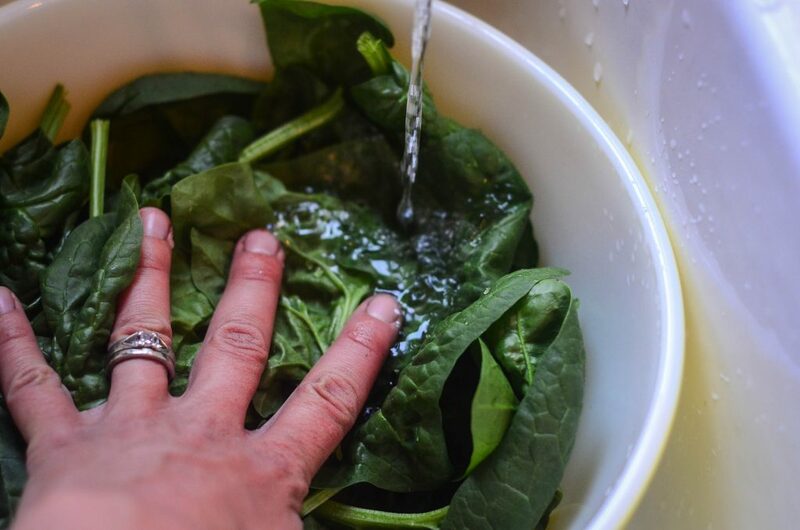 After soaking in cold water for 5-10 minutes, use your hands to remove the greens and set them on a tea towel to dry for 10 minutes or so before shaking them of any excess water and bagging them for the crisper drawer in the refrigerator. Pretty easy, huh? But it’s amazing that without these simple steps, the greens will wilt in no time. 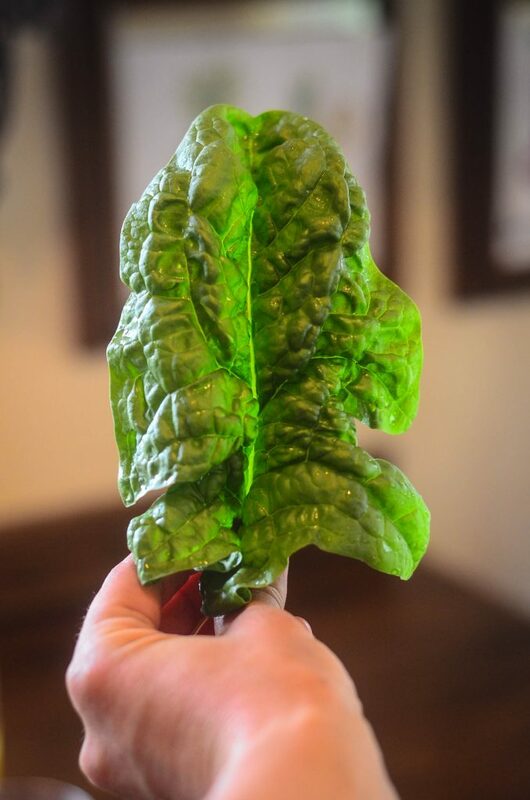 I’ve had crisp spinach a week and a half later after following these simple steps. And considering I’ve been waiting for fresh spinach for the last four and half months, that makes me pretty happy. Point being, you should do it. Point being, eat more perky greens. Not limp greens. « It’s meant to be good. Am I right in assuming that I can use my salad spinner after the tea cloth step? Do you suggest storing with a paper towel in the bag? I’ve heard that helps too. It isn’t necessary to do tea cloth and salad spinner as long as you get the water off the greens you can do whatever method you want. That would be interesting to see. It sound to me like it would work. Let us know. I never would have thought that the time of day you picked them would make a difference. Thanks for the tips! Lord willing my kale is being planted tomorrow! I have a friend who swears that putting greens in a bowl in the fridge in a bowl covered with foil, will revive anything limp like magic. I should try it, I had forgotten about it until I read your article. How do you protect your greens from leaf miners? They got my spinach and had to pull most of it up. I even went to each leaf and wiped the little eggs off the back. But the leaf miners got everything green. I have researched and reaearched and no one knows how to get rid of them or prevent them. The only advice I have found is to not plant anything susceptible to leaf miners in those boxes ever again. Any tips would be much appreciated. So THAT’S how you do it?! Thanks for this. 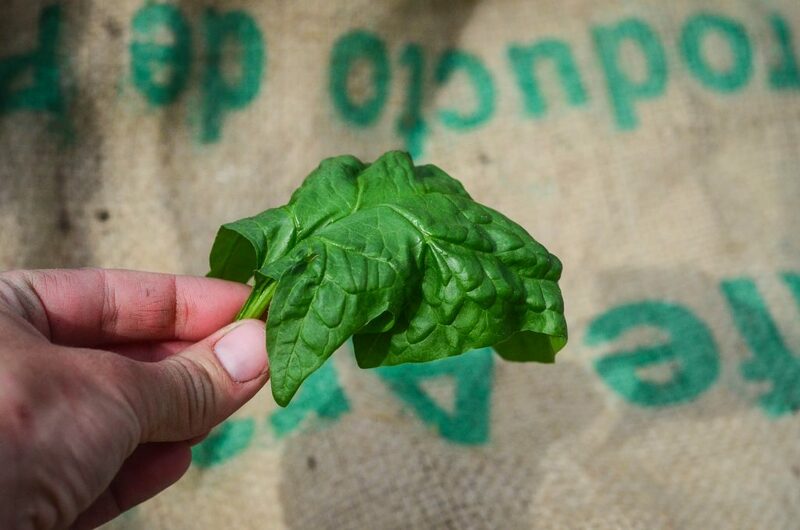 Ain’t nothin’ more aggravating than finding limp spinach the day after you pick it! I didn’t know this trick. Now I do. Muchas smoochas! I’ve also used a splash of white vinegar in the first rinse water. I also use a spinner to take out the excess water. Great idea, i have done this same thingnwith green beans and carrots. I used ice water and they were crisp again and lasted at least a week! Thanks for all the things you do i dont know how you find the time with everything! that might be present. letting it soak for 3-4 minutes. I do not rinse. I dry on a towel. It really stretches the life of the berries. Hardly ever throw one berry away! Just love reading your blog. I’m trying to talk myself into getting just a few chicken. Of course, I need to buy a coop first. No handy man around this house! Just folks living out in the county! You are a precious family! 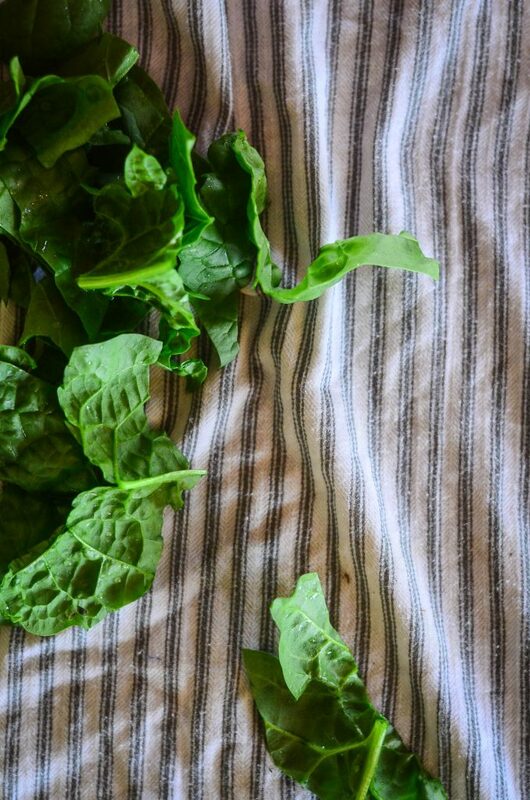 When I have excess greens, I wash them and dehydrate them in my dehydrater at a low temp to keep the vitamins and then I put them in the blender for greens to put in smoothies. I mix beet greens, kale, spinach, collards and whatever I have on hand and it adds loads of goodies to a smoothie. i would add to this (if I may ;)) to add a splash of ACV to the water. This keeps them from spoiling for quite some time. It works for me anyway! I LOVE how detailed your explanations are. I’m a slow learner, and explanations of every step are greatly appreciated. Thanks! To be honest, I just throw my lettuce in a strainer, and pour ice around them- does the same thing, I guess!